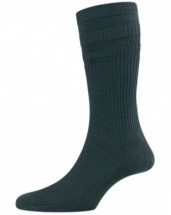 HJ Hall healthy feet Flysafe compression sock specifically designed for flight travel. 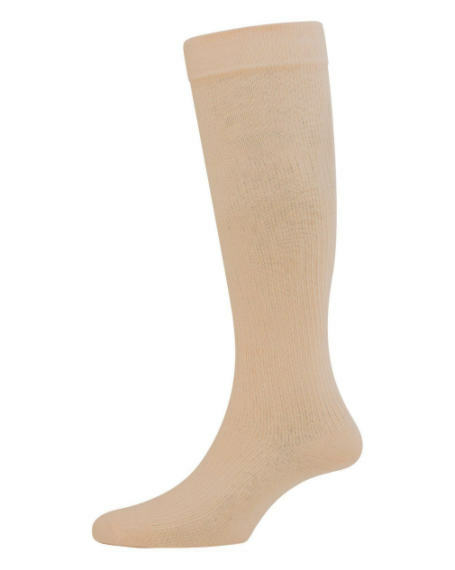 In one pair packs, these specialist socks work by exterting pressure to specific areas of the lowver leg and ankle through the use of elastication. The compression sock exterts graduated compression with greater compression at the ankle and gradually reducing pressure towards the top of the sock. Made in the UK from a Cotton Rich material for maximum coolness and comfort and backed up by a six month manufacturer guarantee, you will not be disappointed by these fantastic healthy feet socks. Compression rating of mmHG8 - 12 CLASS 1. The colour of the sock is as close to black as it could be, I was disappointed as I was looking for a pair to wear with 'grey' trousers.